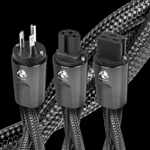 The Audioquest Dragon Source Power Cable is ideal for your high end source components that do not draw high current. 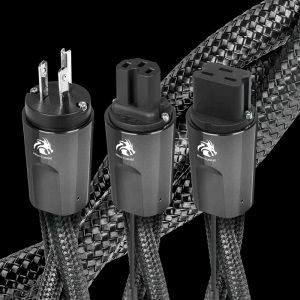 Note: AudioQuest Dragon/Source AC power cable is not appropriate for use with AC power conditioners, power regenerators, AC isolation transformers, AC battery back-up devices, as well as any power amplifier, powered sub-woofer, powered loudspeaker, powered receiver, or integrated amplifier (whether tube, solid state or digital switching). These products will require greater RMS and transient current capacity. In extreme instances, they could suffer diminished performance and/or present an electrical danger by exceeding the AudioQuest Dragon/Source AC power cable's maximum current capacity. For those applications, we highly recommend selecting the AudioQuest's Dragon/High-Current AC power cable.